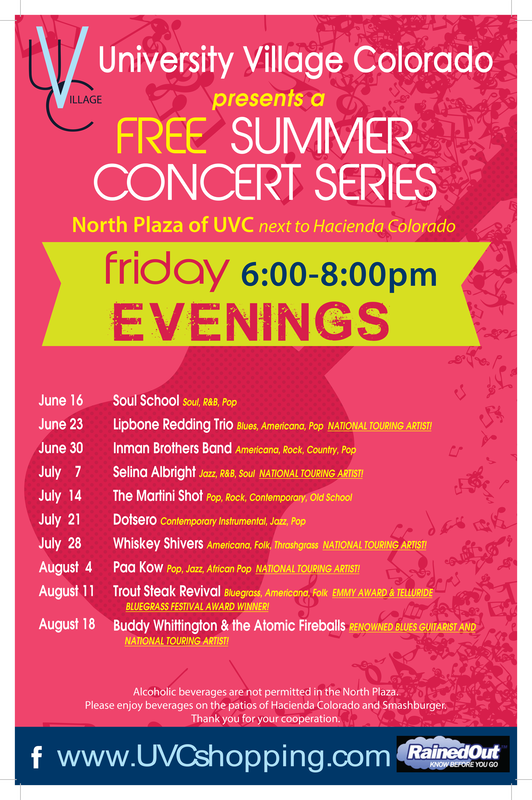 University Village Colorado is once again hosting the UVC FREE Summer Concert Series. 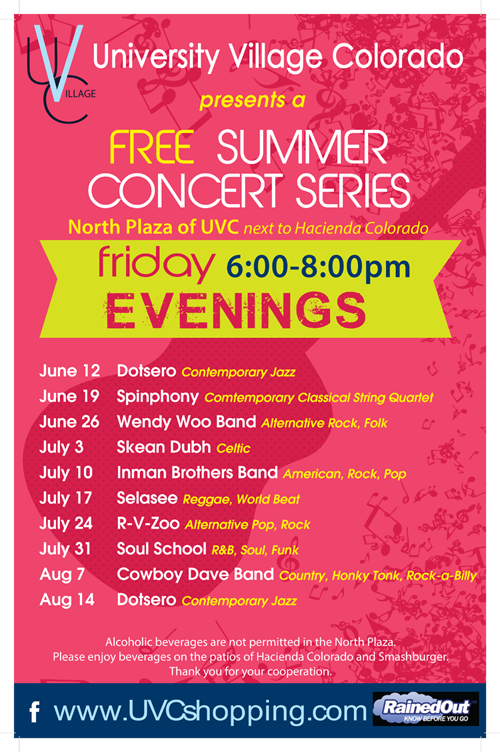 It is going to be another great concert season and we have an incredible line-up again this year with some great new bands for your enjoyment! 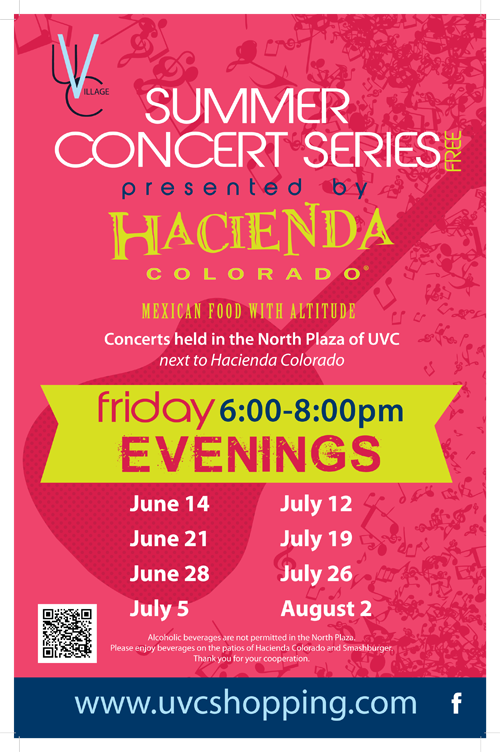 Concerts are Friday evenings from 6:00-8:00pm in the North Plaza next to Hacienda Colorado Mexican Restaurant and Smashburger. There is stadium seating. Feel free to bring a blanket for the grassy areas or lawn chair for the other areas. Alcoholic beverages are not permitted within the North Plaza. 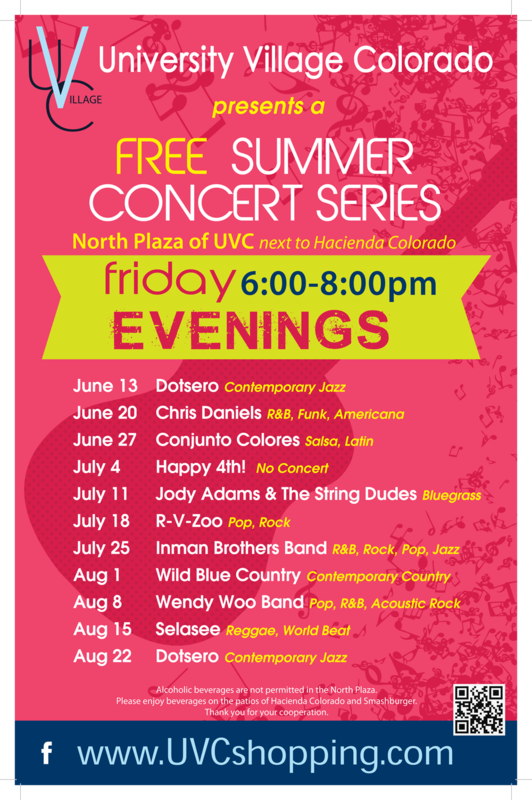 However, please feel free to enjoy them on the patios of both Hacienda Colorado and Smashburger. Thank you in advance for your understanding and cooperation.